Home Food & Beverage 2 Dozens of J.CO Donuts for only Php500!!! 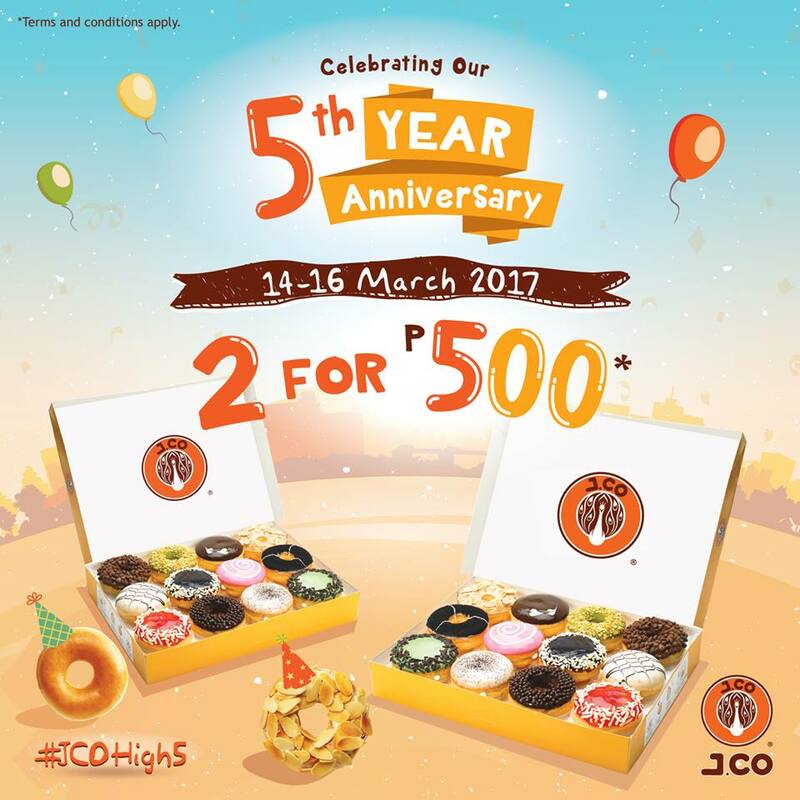 2 Dozens of J.CO Donuts for only Php500!!! 1. Valid on March 14-16, 2017, in all J.CO Philippines stores, nationwide. 2. Maximum of four (4) dozens per transaction. 3. Promotion is not valid with other promos and discounts. Next articleBeer All You Can at Liberty Eastwood!!! !